These last 24 hours I received many WordPress Hacked Support Requests for sites that were displaying a "This site ahead contains malware" warning when browsed with Google Chrome. All warnings were displayed when browsing sites with Google Chrome. All of those sites are using the AdThrive Ad Network plugin. All the sites that I was asked to check for malware show as clean. I scanned their site's content and database but I didn't find anything suspicious. For that reason I asked my clients to reach AdThrive and ask more info on this. 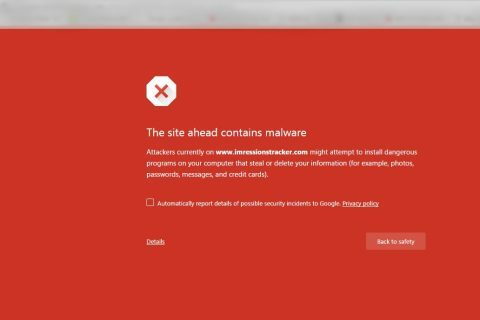 AdThrive replied that this is a Malware Bug that hit Top Publishers while I strongly believe this is something different because the "This site ahead contains malware" warning comes from Google Chrome and not an antivirus. Update: Upon further research it seems like that ImressionTracker.com is not registered as a domain(and never was) so this can be a kind of domain spoofing. 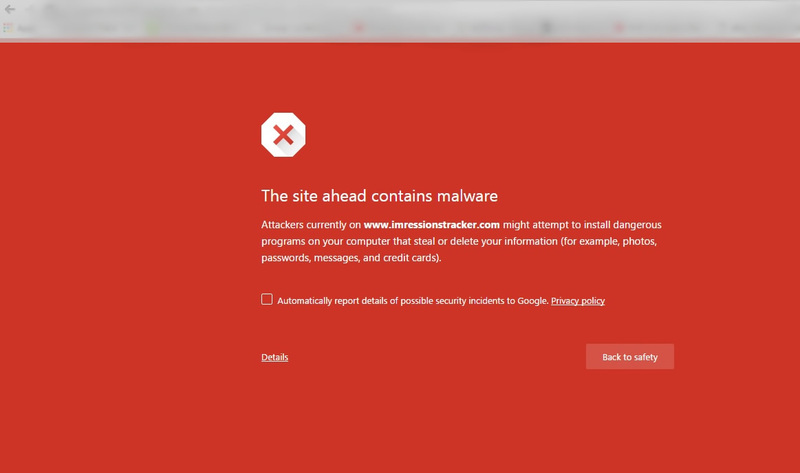 I will update this blog post the moment I find new info on the ImressionTracker.com Malware Notice when using AdThrive.